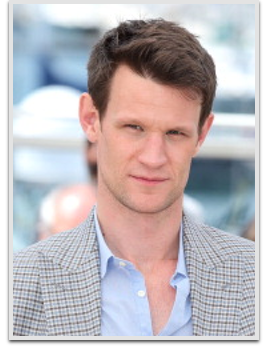 Matt Smith is an English actor and film director. He is best known for his role as the Eleventh Doctor in the British television series Doctor Who, for which he received a BAFTA Award nomination in 2011. Before his role in Doctor Who, Smith’s first television role came in 2006 as Jim Taylor in the BBC adaptations of Philip Pullman’s The Ruby in the Smoke and The Shadow in the North while his first major role in television came as Danny in the 2007 BBC series Party Animals. Smith was revealed as the Eleventh Doctor in the British science-fiction television series Doctor Who in January 2009 to replace David Tennant, who announced his departure in October 2008. Smith is the youngest person to play the character in the British television series. Smith has said of his character: “The Doctor is excited and fascinated by the tiniest of things. By everything. By every single thing. That’s what’s wonderful about him as a character. It’s why children like him, I think. Because he doesn’t dismiss anything. He’s not cynical. He’s open to every single facet of the universe.” In June 2010, Smith appeared on stage with Orbital, and performed with them a version of the Doctor Who theme, at the Glastonbury Festival. He left the series at the end of the 2013 Christmas Day special, “The Time of the Doctor”. He will play a major role in upcoming movie Terminator Genisys and its two sequels.